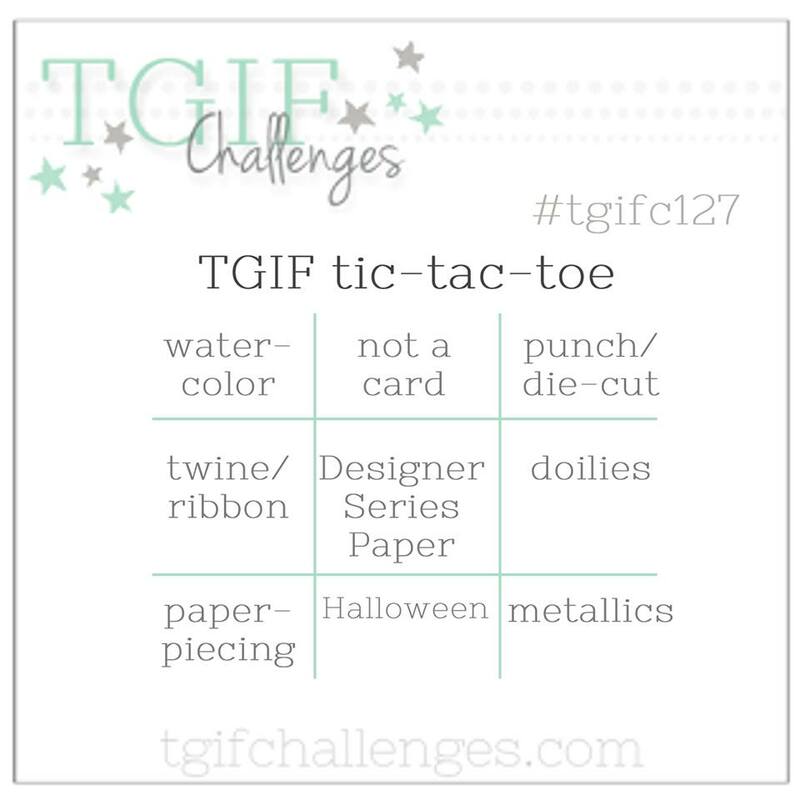 We are playing tic-tac-toe at TGIF this week. 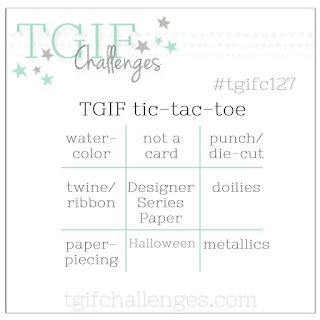 Check out all the cool entries at #TGIF127 then play a game and link up with us. This challenge had me stumped, in fact I thought I would be playing a "cats" game and not make three in a row. Finally, I got my game on and was able to get my act together to get three in a row that included water color, twine/ribbon, and paper piecing. I stamped the pig image on a piece of Bundle of Love Specialty DSP using Basic Grey ink. Then a quick fussy cut and I had my first corner (to win you always go of a corner first). 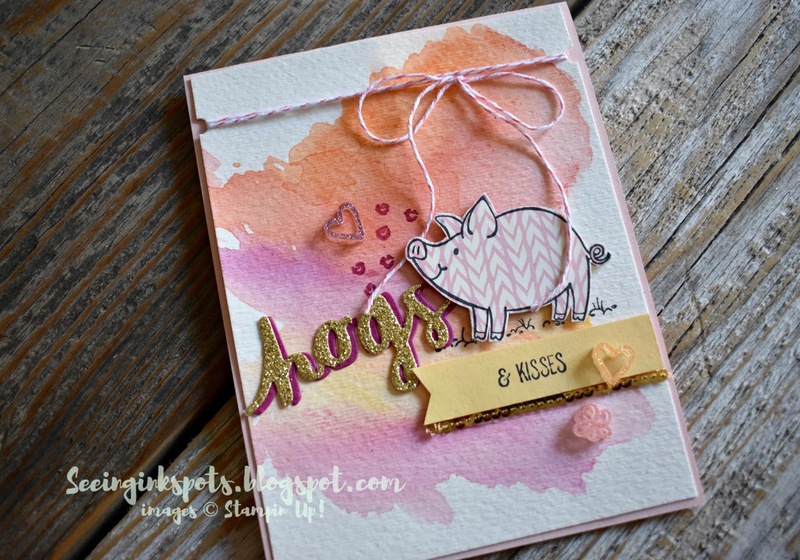 Next, I needed a backdrop for the piggy so I went for another corner and busted out some inks and Watercolor Paper. 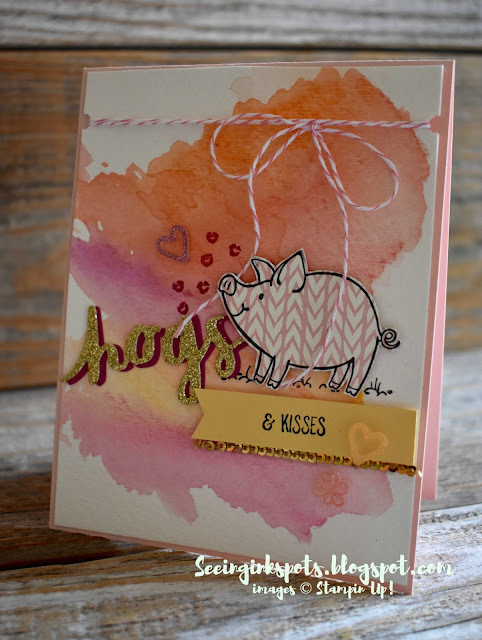 When looking at using the "hogs and kisses" greeting I decided to try some of my own non-traditional paper piecing by cutting up some Lovely Words Thinlits cutouts to manipulate and transform hugs to "hogs." 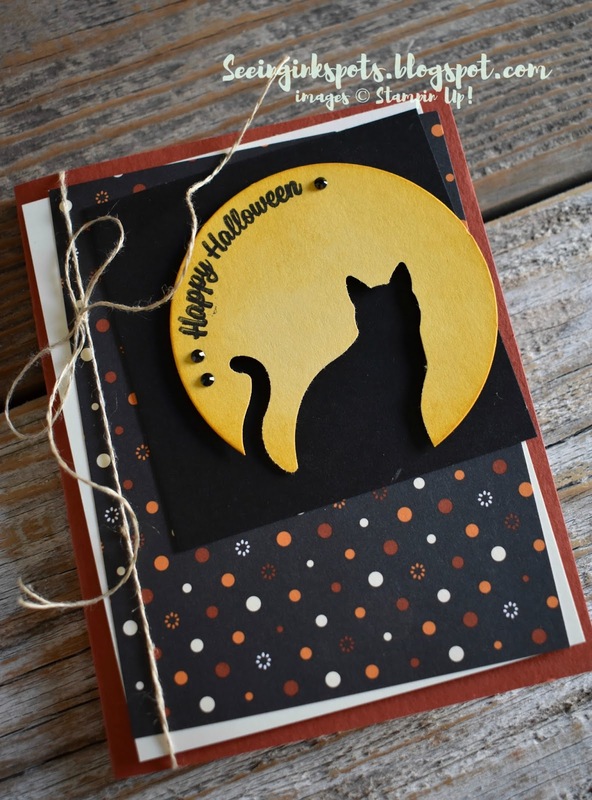 It seems that lately I have been stamping lots of Halloween and fall treats and cards. 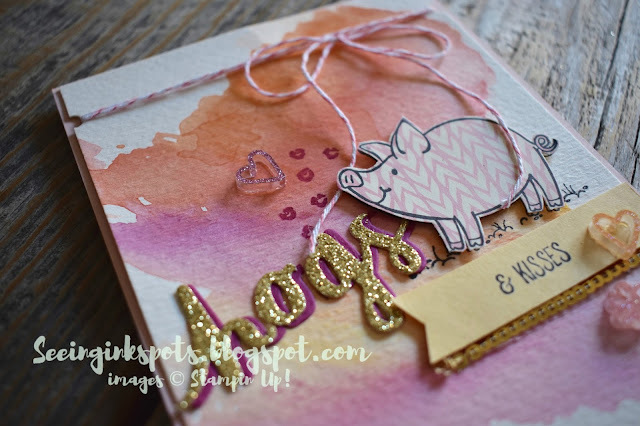 I was in the mood for a bit of a change, so grabbed my This Little Piggy stamp set and thought I would ink it up and just create whatever. 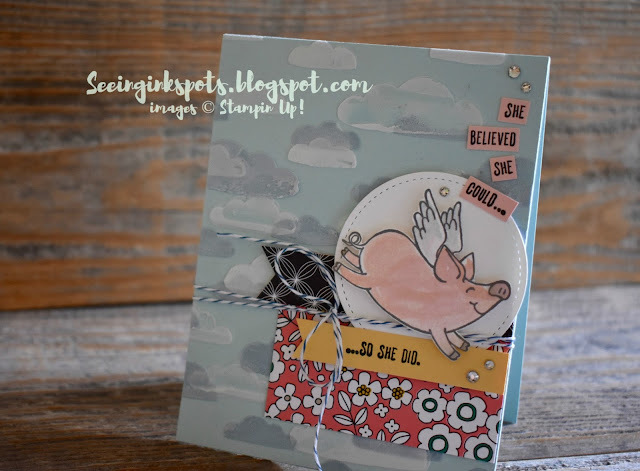 To get the creation gears rolling I decided to use the sketch challenge that the Global Design Project is hosting this week. I have never joined one of their challenges, but I have checked them out every week--they are an amazing team and offer fabulous challenges. 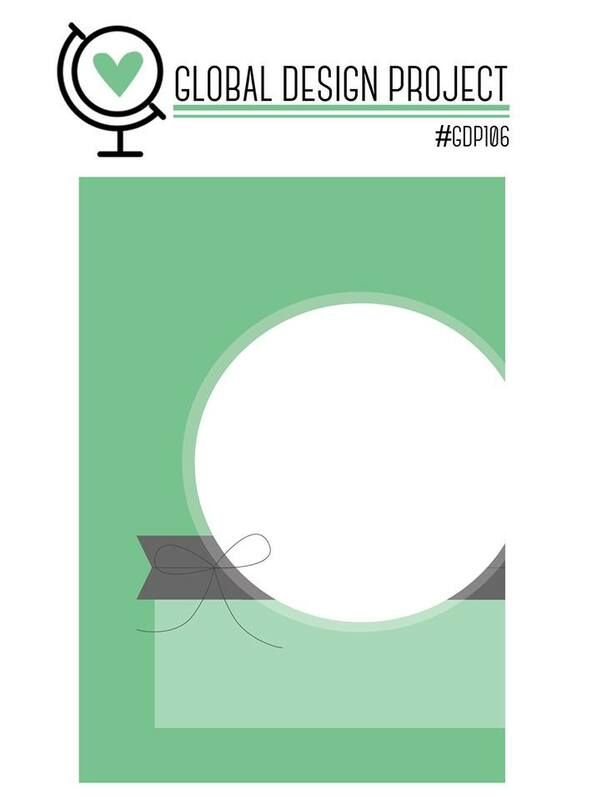 Here is my interpretation of the sketch for #GCP106. 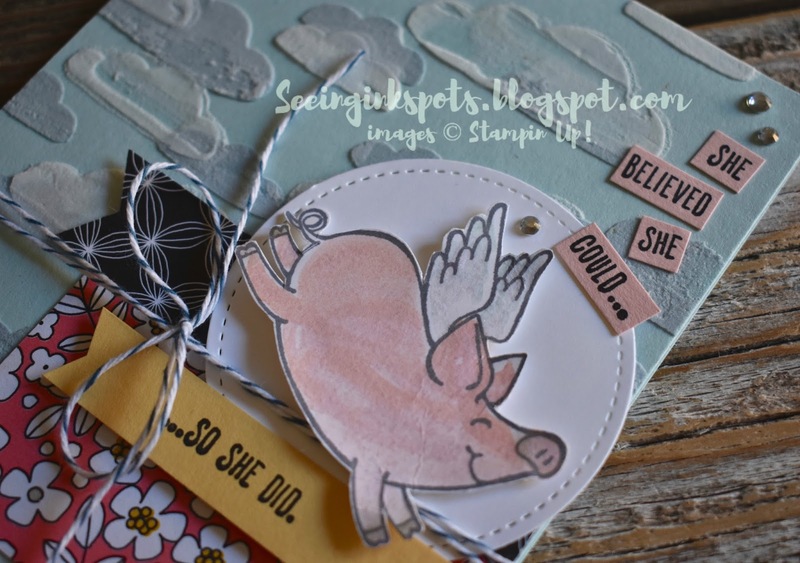 The background is two layers of Embossing Paste clouds. 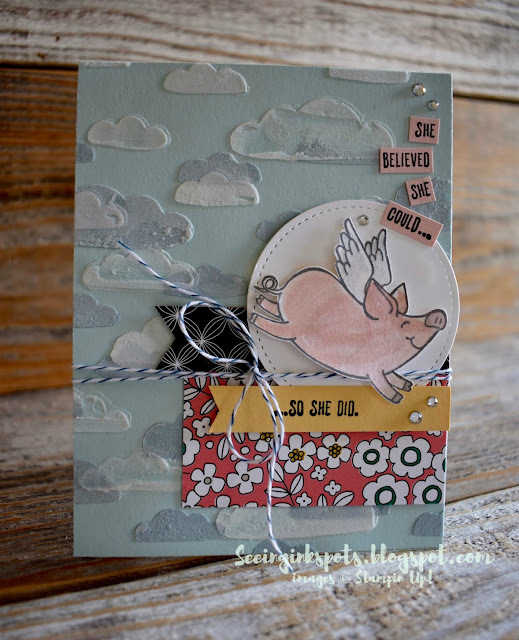 The first layer was colored with Dapper Denim ink and the second was plain. You have to let them totally dry before the second layer is applied, but the SU! paste dries so quick it doesn't take too long. Use your Cat Punch to take a bite out of a Stitched Shapes "moon" to create a fun Halloween look. To create an eerie moon sponge Crushed Curry ink around the edges of the cut circle. 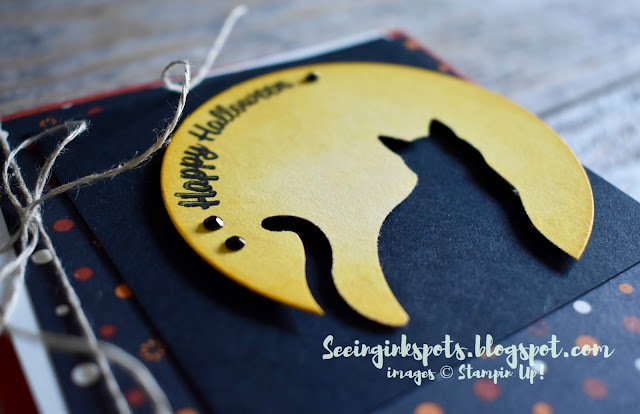 To curve your Halloween greeting mold the image on a clean block to your desired shape. This technique works best with photopolymer stamps.